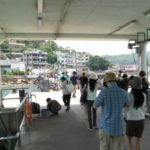 I’ve visited Hong Kong’s Lamma Island several times in the years I’ve lived in Hong Kong (example1, example2), but the last time was over 7 years ago, and it was mainly on the same path crossing the island from north to south-east (Yung Shue Wan Ferry Pier). 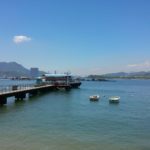 This year, I went back to revisit, and instead took the southern circle path starting from Sok Kwu Wan Ferry Pier, to see new sides of the island. 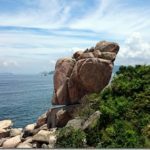 It’s even more laid back than the rest of the island, with very local life, old locals, farming, the occasional cows, and long stretches of rocky beaches and panoramic views of the southern HK islands and the ship routes towards China. 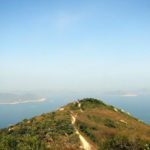 Good combos of lush green and deep blue, with walks up and down hills and mountains. I was fairly lazy and stayed with the easy stuff, but there are paths going deeper and higher into the mountains. 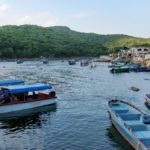 End of the circular path leads back to the ferry pier, where there’s your typical Lamma Island collection of lively sea-food restaurants. 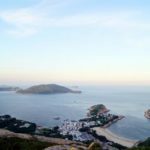 Ready for the Lamma southern circle?